Home Betting Education What Kind Of Punter Are You? What Kind Of Punter Are You? What's the best approach to being successful on the punt? When people first engage the services of a professional tipster or analyst, they’re often after just one thing: winners. Because in the eyes of many recreational punters, that’s what the professionals do: they back more winners than anybody else. If you’re going to take your punting more seriously, it’s critical that you understand why. For the recreational punter, it’s about that winning feeling. There’s absolutely nothing wrong with that: they’re generally in it for a bit of fun, largely bet within their means, and aren’t hugely concerned about the return they get. Sure, everybody would rather be making money than losing it, but that’s not necessarily the primary goal. It’s entertainment and any losses are an entertainment expense. And there’s nothing more entertaining than backing a winner: seeing your runner loom up in the straight and smash through the line for a win. It’s even better when it’s at long odds and you’ve seen something in the form that everybody else seems to have missed! That winning feeling, that rush, is the name of the game. The serious punter is in the game to make money. They range from the part-time and very keen, to the full-time professional who’s making their living, to large syndicates managing millions in capital on behalf of investors. Like the recreational punter, they obviously like to see winners. Unlike recreational punters, backing that first horse past the post isn’t the be-all and end-all. That race-to-race winning feeling isn’t of huge concern, because they know the only way to make money is across the long-term. Let’s assume you took the approach of betting on favourites in every race in New South Wales over a period of time. It’s no secret that favourites don’t always come out on top, but they do win more often than the second, third or fourth picks in the market, for instance. You would back plenty of winners over the journey by adopting this approach, but there is a massive chance that you will lose money overall. The favourite may be given the best chance of winning a particular race, but the prices are often not reflective of the actual chance they have of claiming victory. For instance, a horse that is paying $2 is seen as a 50% chance of winning, but in reality even the short-priced favourites do not win races that often. You are getting the thrill of that winning feeling, but the profits won’t add up. 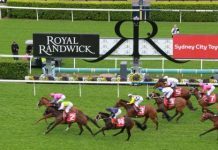 In contrast, NSW racing analyst Mark Rhoden has placed 539 bets across 404 races since September last year, finding the winner in a race just 32% of the time. Even with multiple runners in some races the strike rate is still below 35% and well and truly below the 50% mark that a $2 favourite should be achieving. Despite this, Mark has made a whopping $9,142 profit in that time, nearly doubling his bank in less than a year… wait, what? The reason is simple – value. Winners become less important if you can pick the right ones at a price that is bigger than their ‘actual’ chance of winning the race. The same goes for sport. Any good AFL tipster will often pick 6 or 7 winners in a round. That’s a winning strike rate of somewhere near 70%. If you have a leisurely bet on those tips, you will experience the winning feeling more often than not each weekend.. but you won’t make money backing teams that win by a couple of goals and pay $1.30. Our AFL Tips membership has a strike rate of 58% so far in season 2018 but are currently $4,180 ahead of where they started the campaign. Again, they back value based on the actual chance they believe a team may have of winning a particular game. An example is taking North Melbourne to beat Sydney earlier this year. The Roos paid $4.50 with the bookies, but our analysts had rated them as a $3 chance so they took the value. The bet won for a big collect. Backing value isn’t guaranteeing you will win – winning is never guaranteed anyway – but over the long term you will make money. So ask yourself, what is more important to you when you punt? Experiencing the thrill of victory more often than not, or making money when you win, even if it’s less often.